The other consortium members are utilities Chugoku Electric Power Co and Shikoku Electric Power Co, construction company Chudenko Corporation and petroleum firm JXTG Nippon Oil and Energy Corporation. 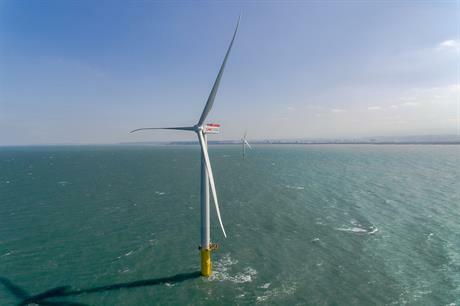 With the acquisition of the stake, the German developer has secured equity funding for the 80-turbine site in the Taiwan Strait. The debt financing of the project is also close to completion, Wpd said. Investors will include Taiwanese and international banks and financial institutions, it added. Wpd was allocated grid capacity for Yunlin in April 2018, and has since signed a power purchase agreement with Taiwanese utility Taipower. The project will consist of 80 of Siemens Gamesa’s SG 8.0-167 DD turbines, which will be commissioned in two phases: the first 40 in 2020, followed by the remainder in 2021. Offshore construction work is due to start in March 2020.